You are here: Home / Beauty / 2 Mint Recipes To Make You ‘Beautemous’! 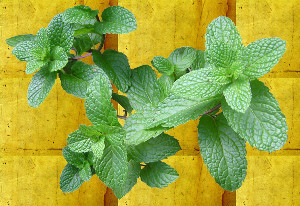 2 Mint Recipes To Make You ‘Beautemous’! My grandmother always used the word “beautemous” … drawing out the last syllables, and here are two mint recipes that just might do that. One is for thicker hair and one is for a lip balm for fuller lips. Both are compliments of Woman’s World magazine. And, if you’re worried about finding mint now that it’s almost autumn – don’t be. These beauty recipes call for peppermint essential oil, not the live plant. NOTE: be sure you use real peppermint essential oil and not fake stuff. They contain the essence of the mint plant which chemical garbage does not. In other words, that made-in-a-lab junk won’t accomplish anything positive! So here are two simple, quick and easy beauty recipes with only three ingredients each. Mix the ingredients and massage them into your scalp for about two minutes. Allow the mint mixture to sit on your hair for 20 minutes, then shampoo as usual. In a saucepan, gently and slowly melt the wax and coconut oil. Then add in the peppermint and stir. Transfer to a small jar and allow it to cool. Use your fingertips to smooth it onto your lips. Important: high heat will destroy essential oil so don’t do your melting quickly and on high heat. Or, if you do, allow it to cool somewhat before adding the mint. We promised you simple and easy and these two mint beauty recipes definitely deliver.